With motoring journalists claiming that this is the best Bentley Continental yet, with minor tweaks, it has actually transformed the GT into a far more exciting and rewarding car to drive. 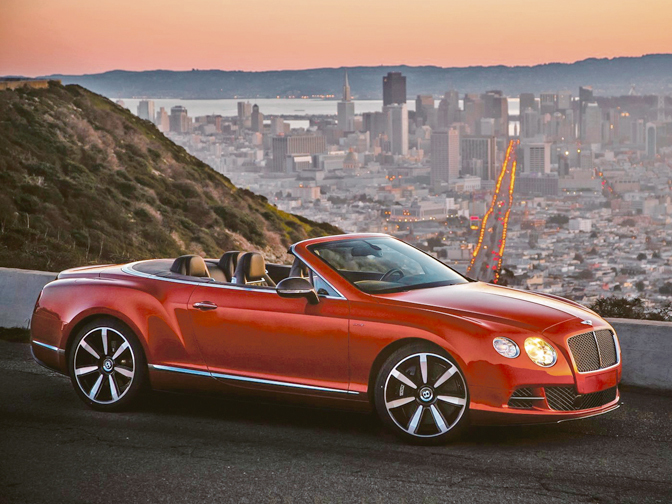 The Continental GT remains a top choice for Bentley lovers as a well-heeled, striking-looking, mostly bespoke, exceedingly comfortable two-door sport coupe. Hand-built in Crewe, England, the recently refreshed GT and its more powerful GT Speed sibling are just about guaranteed to get their drivers pole position at any valet. The base Coupe is offered with two powertrain options: a 500-horsepower 4.0-liter twin-turbo V-8 or a 567-horsepower 6.0-liter twin-turbo W-12. Where around 65% of Bentley Continental GT buyers would opt for the ‘bigger is better’ mindset and go with the 6.0-litre W12 model rather than the newer, more efficient. But that could change with the arrival of the new V8 S model. The V8 S Bentley Continental GT lifts performance of the 8-cylinder car to pretty much the same level of the flagship 12-cylinder version, but adds more sporting intent. Bentley has upped the power of the twin-turbo V8 by 21bhp to 521bhp, so the 0-62mph time drops from 5.0seconds to a W12 matching 4.7 seconds, while top speed rises from 187mph to 191mph. The stats may not seem jaw-droppingly quicker, but it’s the manner in which the S goes about its business that makes this yet another brilliant new Bentley. As well as the increase in power, torque is up to 680Nm, while the car sits 10mm lower on a chassis tweaked for greater agility, with steering adjusted for greater feel. Visual tweaks are subtle with a black composite front splitter, side skirts and rear diffuser, gloss black for the grille and a V8 S badge on the front wing. Spending an extra £9000 on the GT gives a worthwhile aural thrill as it delivers a very confident roar under full acceleration that will have you scouring the landscape for tunnels just to hear the noise echo back at you. The standard four-wheel drive provides immense security with huge reserves of grip, while the revised steering is more responsive than ever. This isn’t a car with the reactions of a Porsche 911 Turbo, but certainly is fit for everyday driving with a hint of naughtiness when needs be.